New Delhi [India], Dec 1 : Stating that Jio has acquired 50 million subscribers in 85 days since its launch on September 5, Reliance Industries Limited chairman Mukesh Ambani today announced the plan to push this network a notch up with free voice, data and video for new and existing users under the Jio Happy New Year offer. "We have introduced home delivery of Jio SIMs. Now, the customers can get their Jio SIM home-delivered and activated in five minutes through eKYC. And all customers can retain their existing number when they migrate to Jio," Ambani said while addressing his company's stakeholders in Mumbai. "This is being progressively launched across India through MyJio and will be available in top 100 cities by 31 December, 2016," he added. New Delhi [India], Nov 15 : Travelyaari, the paradigm-changing online bus booking platform, has announced a tie-up with Paytm and Reliance Jio for offline payment integration. The platform, which offers solutions to both travelers as well as bus operators, is bringing cash-free payments to all its customers at select inter-city offline counters. At present, 2000 operators across 10000 branches are on board at Travelyaari. Customers can pay for their tickets using either of the mobile wallets and avail of several cash-back incentives. New Delhi: In a possible case of corporate espionage, the Delhi Police have detained two Petroleum Ministry employees and three others for allegedly leaking confidential government documents. As per reports, the Delhi Police carried out raids at Shastri Bhavan and nabbed the two - one a peon and the other is a clerk. However, they are said to have had access to the offices of senior officials in the ministry. Of the the other three, one has claimed to be a journalist. Media reports said that the detained men are being questioned and will be put under arrest. The reports added, the five have allegedly leaked official documents to business houses. Shares of well-established telecom operators like Bharti Airtel, Idea Cellular and Reliance Communications Ltd came under pressure after cash-rich Reliance Industries Ltd (RIL) announced its decision to participate in the upcoming spectrum auction. Investors have concerns that RIL's entry into the field could cut into incumbent players' profits in the future. RIL's decision to participate in the upcoming 2G spectrum auction has raised the prospect of fierce bidding and intensifying competition in a market, where margins are already low. Investors should make investments in mutual funds with a timeline of 12 months to 18 months to beat volatility, according to a piece of advice from Reliance Mutual Fund. Amit Tripathi, head of fixed income at private sector mutual fund, said investors should make sure that they have a horizon of at least one year in the short-term income funds; while they must stay invested for at least 18 months in the long-term. Mumbai, August 1 : Private non-life insurer Reliance General Insurance Company Thursday launched a new health insurance plan, Reliance HealthGain, to meet the healthcare needs of women. "Our assessment indicates that about 20 per cent of workforce in India is women and out of which only 10 per cent (2 per cent) end up having healthcare protection on their own. We have made an effort to encourage them to take health coverage by incentivising their inclusion in our new plan," said Rakesh Jain, CEO. Nita Ambani, the chairperson of RIL's philanthropic arm Reliance Foundation, on Wednesday announced the inclusion of two more village clusters in Gujarat, viz. Modasa and Jasdan, in the foundation's unique Bharat India Jodo (BIJ) initiative. Nita announced financial support of Rs 1 crore for each of Modasa and Jasdan, for the upliftment of marginalized farmers and their families in the two village clusters. Mukesh Ambani, who is the Chairman & MD of Reliance Industries, retained his position as the richest Indian person for the sixth straight year with a net worth of $21.5 billion. According to Forbes , Mukesh Ambani is the twenty second richest person in the world this year while the second richest Indian, Lakshmi Mittal is at 41st position with a net worth of $ 16.5 billion. The third position in India was occupied by Azim Premji ahead of Dilip Shanghvi, Shashi & Ravi Ruia, Kumar Mangalam Birla, Savitri Jindal, Sunil Mittal, Shiv Nadar, K P Singh and Anil Ambani. Reliance Sibur Elastomers Pvt. Ltd. (RSEPL), a joint venture between India's RIL and Russia's Sibur, has started building their new butyl rubber plant in Jamnagar. The JV aims to commission the plant, which will be India's first manufacturer of butyl rubber, in 2015. The manufacturing facility will reportedly produce 100,000 tonnes of butyl rubber annually. The Harvard Business Review (HBR) has released its list of 100 global chief executives worldwide and it includes eight Indian CEOs. ITC's YC Deveshwar and late Subir Raha of ONGC were included among the top 20 CEOs in the world. Other Indian finding a place in the list were Subir Raha of ONGC, at 13th place, of Reliance Industries' Mukesh Ambani at 28th rank, Larsen & Toubro's AM Naik was ranked 32nd, followed by BHEL's AK Puri at 38, Bharti Airtel's Sunil Bharti Mittal at 65, Jindal Steel and Power's Naveen Jindal on 87th postion and Steel Authority of India's VS Jain at 89st position. Indian stock market closed flat after benchmark BSE Sensex touched an intraday high of 17,726. NSE Nifty closed at 5338. European Markets opened negative and this led to decline in Indian stocks during the end of the trading session. FTSE was down by 0.5%, CAC 40 was down by 0.62 per cent at 3431 while DAX was down by 46 points at 6921. Asian Markets were mixed with Nikkei 225 gained 0.88% while Straits Times down by 0.51%. Hang Seng ended the day flat. Reliance Industries Ltd (RIL) has reported an increase of 21 per cent in net profit to 44.73 billion rupees compared to the same quarter in the previous year marking the third consecutive of a fall in net profits for the company. The fall comes after the company saw a decline in revenues from refining and petrochemicals business. However, the fall in margins from the refining business has been less than expected and the treasury gains from its cash reserves also helped boost profits for the company. Indian Stock Market opened positive on Tuesday and has stayed in positive territory for most part of the trading session except for a decline at 2 pm IST. All the Asian markets closed in positive zone. Hang Seng was up by 294 points. The European markets have opened positive. Heavyweight counters in Indian market including Reliance, ITC and BHEL dragged the indices down. Reliance was down by 0.4% after touching intraday high of Rs 742. ITC was trading at 246.5, down by 1.4%. TCS was down by nearly two per cent. Sudarshan Sukhani of s2analytics.com has expressed concerns over weakness in Reliance Industries stock. He said that the bluechip company controlled by Mukesh Ambani is already hovering around its 52-week lows. He does not expect the company to see a quick recovery from current lows. 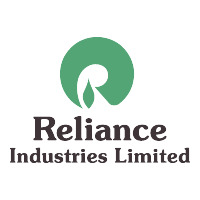 Reliance Industries Ltd(RIL) has said that its unit in the US has raised $500 million through a sale of bonds. Reliance Holdings USA Inc, which is the wholly owned subsidiary of RIL, has been able to raise $1 billion through an issue of bonds. According to experts, the move that will encourage more Indian firms to follow the route to raise funds through global issue of bonds. An Empowered Group of Ministers (EGoM) will hold a meeting under the chairmanship of Finance Minister Pranab Mukherjee to review the country’s natural gas allocation policy. The meeting is to review the allocation after a severe fall in output form Reliance Industries’ KG-D6 block. The government says that the company is to blame for the fall in production but Relaince says that geological complexities caused the fall in production. Mukesh Ambani led Reliance Industries Limited is planning to release its new 4G broadband network, which will offer exclusive content and high speed connectivity at affordable prices, in the country later this year. Though inflation is only rising and till now has given no indication of reducing, Reliance Mutual Fund is pretty much sure that this wind of uncertainty would pass on and day full of positivity would rise. There is no doubt that for now equity market is performing below the level but if Reliance Mutual Funds verdict is to be considered then investors’ efforts would not go in vain and in coming 12 to 18 months, the invested equities would generate positive returns. Mukesh Ambani, who is the world's ninth richest man and the owner of Reliance, has revealed that the slowing gas production has resulted in the drop of 30% stocks this year. It was reported that Reliance was overtaken by Coal India, the world's largest coal miner, revealed that the stock in India was the best performer for this year on the country's top index.